That is according to new returns filed by the charity with the US tax authorities. THE AMERICAN IRELAND Funds (AIF) has stated that the total amount alleged to have been embezzled from the organisation by an ex-employee is $579,000 (€509,870). The documentation alleges that in 2018, the AIF discovered that an ex-employee in a regional office in the US misappropriated $249,000 in 2017 and $330,000 in 2016. The documentation states that given the nature of the alleged embezzlement, the amounts involved had been reported primarily as event expenses in the statement of activities for each year. The note states that management of the fund “has revised policies and procedures related to procurement, hiring procedures and oversight of financial activities”. In court documents, the former employee has denied that she stole from the charity and has asserted that “in the event that it is found” that she took the property of AIF, she did so by “mistake or accident”. The AIF is part of the Worldwide Ireland Funds that were founded in 1976 by Sir Anthony O’Reilly and former US ambassador to Ireland, the late Dan Rooney and they have raised over $600 million for worthy causes in Ireland and Irish causes around the world benefiting more than 3,200 organisations. In October, the chief executive of the AIF, Kieran McLoughlin, confirmed that he was stepping down from the organisation as his contract was then expiring in a couple of months. McLoughlin said that the alleged misappropriation “did occur on my watch. As chief executive, I have to take responsibility for that. Leadership has consequences and this crystallised my decision to leave”. The Dubliner was very well rewarded for his role and the new documentation shows that McLoughlin in 2017 received pay of $699,000 (€615,540) and this included a performance related bonus of $100,000. The $100,000 bonus paid to McLoughlin in 2017 was down on the $158,333 bonus paid to him in 2016. In 2017, McLoughlin enjoyed a 15% rise in his basic pay from his 2016 pay of $462,915 to $535,000. McLoughlin also enjoyed ‘other reportable compensation’ totalling $14,964, non-taxable benefits of $22,036 and ‘retirement and other deferred compensation’ of $27,000. On the alleged embezzlement, the documentation states on discovering the alleged misappropriation, an audit committee at AIF engaged independent counsel to perform a forensic investigation which has been completed. The documentation states that the individual responsible for the alleged misappropriation “had previously reported compliance with our policies, therefore we determined our monitoring was not effective and we have implemented additional controls”. Separately in the returns on McLoughlin’s pay, the documentation for the US tax authorities states that McLoughlin has family travel, a parking allowance which are added to his taxable compensation. The filings disclose that the AIF has a five person compensation committee made up for five independent board members to establish McLoughlin’s pay. The returns state that his proposed compensation is analysed by an outside compensation consultant who researches and compares compensation data with like positions in similar organizations. The AIF documents show that its gross income from its 2017 New York Gala totalled $2.26m and gross income from the 2017 Boston Gala totalled $2.56m. Email “American Ireland Fund alleges ex-employee embezzled over €500,000”. 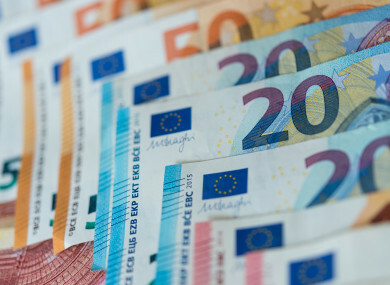 Feedback on “American Ireland Fund alleges ex-employee embezzled over €500,000”.